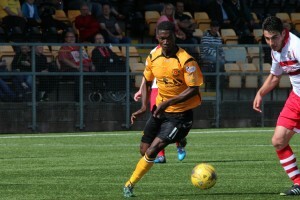 Annan Athletic are delighted to announce the return of Smart Osadolor. Smart was a fans favourite with his first spell at the club last season and won the Ladbrokes player of the month last August. Nathan Flannigan and Aidan Smith both stay at the club till the end of the season after extending their loan deals. Ryan Finnie and Liam Park both leave Galabank. We’d like to thank them both for their services and wish them all the best for the future.